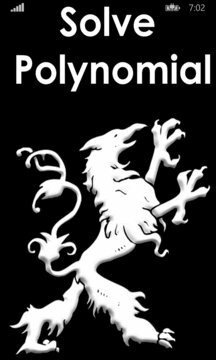 Excellent app which solves any polynomial instantly! It does not matter the degree or complexity of the polynomial, if a real solution exists, the app will find it, that simple! 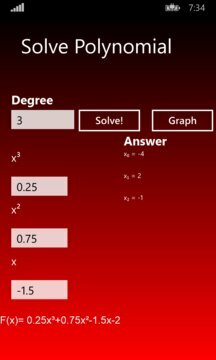 The app shows a graph which is capable to show the minimums, maximums, integral and derivative of the polynomial.